Liverpool returned to the top of the Premier League table on Saturday afternoon as they beat Bournemouth 3-0 at Anfield. The Reds took the lead after 24 minutes, as Sadio Mane headed home James Milner's cross to break the deadlock. Although the Senegalese was arguably offside, referee Anthony Taylor saw no problem and allowed the goal to stand. Georginio Wijnaldum doubled their lead ten minutes later with a sumptuous finish, delicately lifting the ball over goalkeeper Artur Boruc's head. It was only his second goal of the season, with his other strike coming in the 2-1 win over Tottenham last September. They wrapped up the three points just minutes into the second half as Mohamed Salah finished off a swift team move to make it 3-0, netting his 20th goal of the season and becoming the first Liverpool player to score 20 in back to back seasons since Luis Suarez. Here's our breakdown on Saturday's ​Premier League clash. After back to back league draws, ​Liverpool needed to respond after title challengers Manchester City went top after beating Everton. With the pressure once again mounted on Jurgen Klopp's side, the Reds produced a class performance at Anfield as they were at their very best. It was a welcome return to winning ways for the Reds, who controlled the game and played some wonderful football throughout the game. 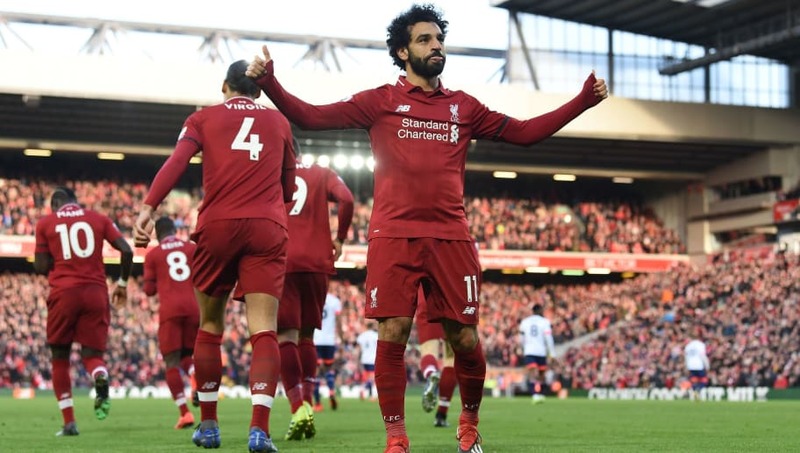 Although City could return to top spot with a win over Chelsea on Sunday, it was a much needed victory for Liverpool in an enthralling title race. STAR PLAYER - There was so much individual quality from Liverpool on display, but Roberto Firmino was excellent in particular. He was fantastic in attack and created so many chances for the Reds, assisting Salah's goal as well in a wonderful performance from the Brazilian. It was a disappointing defeat for Bournemouth, just ten days after an emphatic 4-0 win over Chelsea. They were simply blown away by a ruthless Liverpool side, and although it wasn't a dreadful performance it was far from what they are capable of. They were picked apart far too easily at times and didn't seem to really scare their hosts. After back to back wins, the Cherries couldn't really cause any problems at Anfield and Eddie Howe will be frustrated his side didn't offer more. STAR PLAYER - There was very little individual quality for the Cherries, but Joshua King created some good opportunities going forward. He led the attack well and, although they got no reward for their efforts, he stood out in a sour defeat for Howe's side. Liverpool face two huge tests next week, first welcoming German champions ​Bayern Munich to Anfield on Tuesday night in a massive Champions League tie. They then return to league action, travelling to Old Trafford to face ​Manchester United next Sunday. Bournemouth now have two weeks to rest and prepare for their next league match, when they host ​Wolves at the Vitality Stadium on 23 February. The Cherries are then back in action four days later, when they travel to the Emirates to face ​Arsenal.